This was so surprisingly delightful, and made me so unexpectedly emotional. Everyone knows the story of Cinderella, but this modern day retelling feels and was actually able to evoke quite the feelings from me. This is a heartwarming story and if you consider yourself nerdy whatsoever, don’t let this book pass you by. ➽ Video Games? 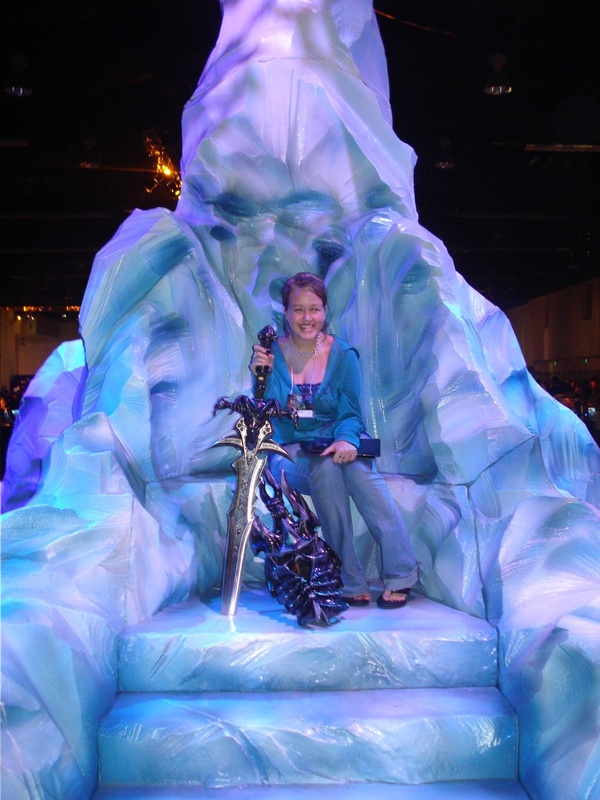 I’ve been raiding for over 10 years in World of Warcraft. ➽ Esports? League of Legends is my world, and I will not miss NA LCS or LCK for anything. I’ve embraced and been comfortable with my nerdiness for a while now, but it wasn’t always so easy, and this book really struck a chord with me and what I felt like when I was seventeen years old and still unsure of who I was. This book truly felt like my coming of age story, and a book that would have meant everything to me if I would have picked it up when I was younger and needed it. For that alone I will always cherish this story and recommend this book. Never be ashamed of who you are or what you love. Celebrate your passions loudly and unapologetically. Never settle and never listen to anyone who wants you to become something you’re not. I promise you, there is someone out there who will love and accept you for who you are and will care about what you love. In the mean time, love yourself and embrace what you love. Okay, I promise I’ll try to be less emotional. This adorable story starts out like any modern day Cinderella retelling would: with a girl grieving the loss of her father, while trying to put up with her evil stepmother, while dealing with her evil stepsisters. She feels alone and so isolated, while trying to keep the peace and do all the housework and chores for her unloving family. If only there was a way for her to escape. Our Cinderella, Elle, escapes the only way she knows how: in the fandom of the beloved sci-fi show that she shared with her father, Starfield! Starfield is much like a mix of Star Trek and Star Wars, and it just so happens that the show is getting remade into a movie and Elle’s favorite character is being played by the most unexpected of male leads. Oh, and Elle also runs a Starfield blog, where she voices her opinion of the casting choices. Meanwhile, this male lead, Darien, is dealing with his own broken home, even though Hollywood makes everything appear perfect on the outside. Even though he’s supposed to just be a teen heartthrob, he is secretly obsessed with Starfield and has dreamed of this leading role his whole life. Then, due to a very strange set of events and miscommunication, our two protagonists start texting one another, while being completely unaware of whom they are actually communicating with. 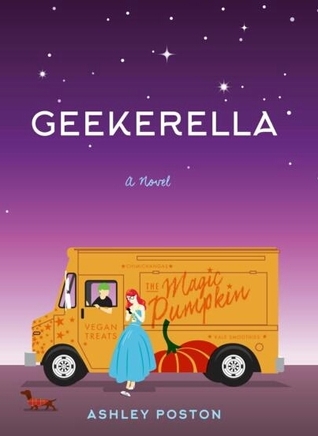 Throw in a cosplay ball, a food truck pumpkin, an amazing friend, and endless geeky references and you have yourself this amazing story wrapped up with helpful discussions and wonderful reminders to love yourself and know your worth. There is also amazing lesbian representation in this book. The story doesn’t shy away from it what so ever, and it is treated, as it should be treated, like normal. Again, this book is important, needed, and truly a shining light in 2017 publications. This book was pure joy to read, and I connected with it on a very deep level. This story is truly a love letter to fandoms in general, and it warmed my heart to no end. I was laughing, crying, smiling, and absolutely loving this book from cover to cover. I am so happy a book like this is getting published, and I wish it all the success in the world. This book sounds like great fun! I love stories where characters really embrace their “nerdy” side (the side which I totally think is the cool side). Great review! This sounds so cute! 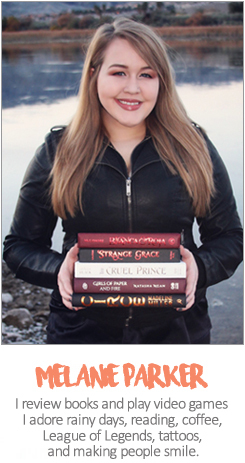 I consider myself a geek as well, and if my TBR pile weren’t so big, I’d definitely pick it up. Thanks for the review! Great review, Melanie! I just recently finished this one and was quite in love too 🙂 It’s a nice homage to the geek in us. Ah I’m so glad this was so adorable- it really sounds very good- I’ve heard a bit about it already and this only makes me want to check it out even more. Great review!